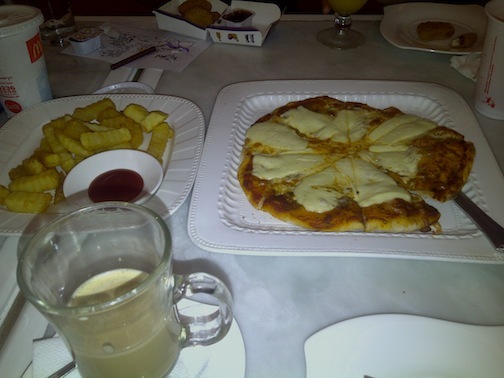 Eating out / Keeping up with Kids / Kids and Family / To Eat or Not to Eat!? A friend of mine, Faye, and I checked out Little Gym at El Pueblo in Ortigas Center. We were interested in their gymnastics program for our kids. After our trip to the Little Gym, we decided to hang out at a cafe in the same area (Cafe 1771). 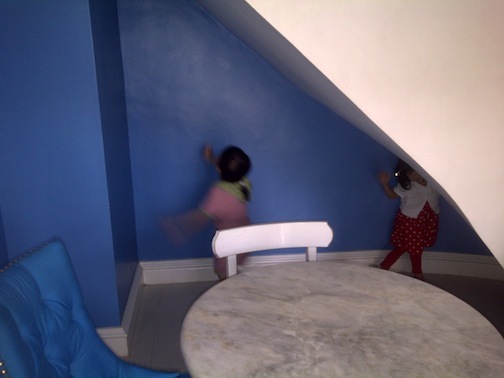 The kids loved the place as it’s interior was very colorful and cool to the eyes. But of course, they still wanted Mc Donald’s nuggets and orange juice. 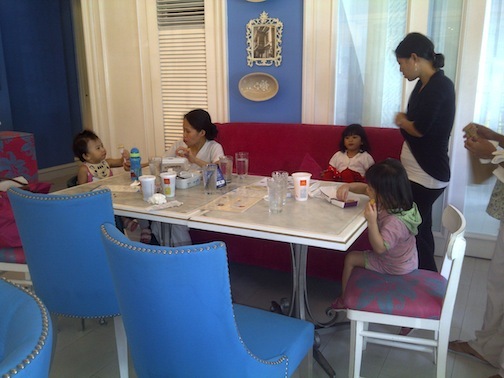 So we bought some Mc Donald’s take out for the kiddos and cafe food for us two moms. This is how the restaurant/cafe looks. 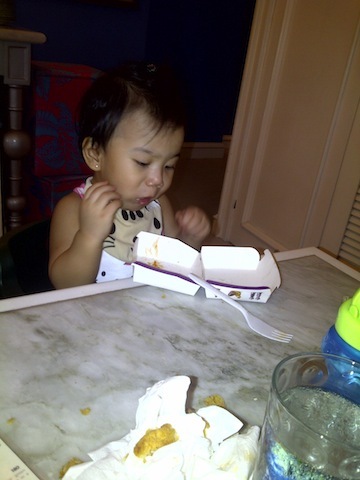 Lexi enjoying her chicken nuggets...she stuffed everything in her mouth! 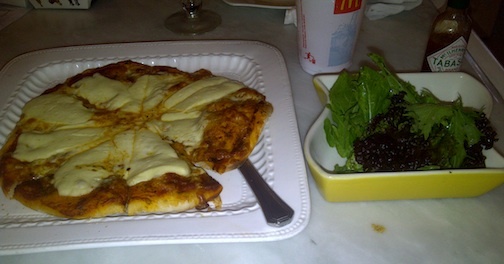 Their bestselling pizza with arugula. We requested it on the side so kids could eat the pizza. This is one portion of the restaurant under the stairs...the kids called this their "castle". They even ended up playing with the store manager and called her Princess Jasmine. 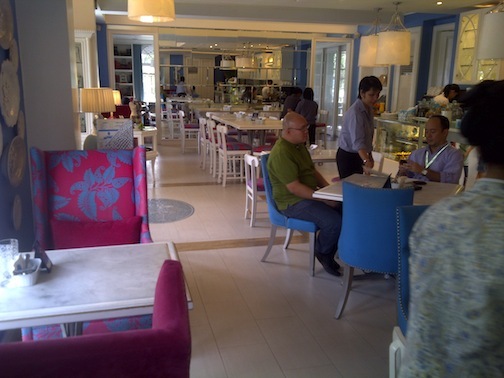 Cafe 1771 has a refreshing ambience…an energetic, relaxing, feel to it. Restroom was amazing! Interiors were awesome. And boys bathroom was separated from girls. Food was tasty. Good selection. For sure, we’ll be back….may it be with kids or not.